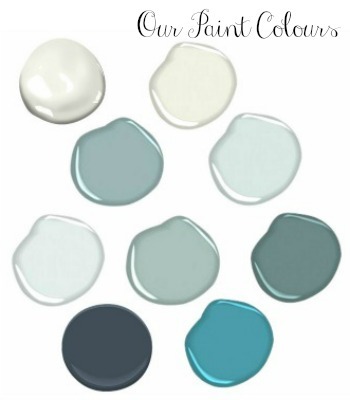 of our youngest son for the Spring One Room Challenge. 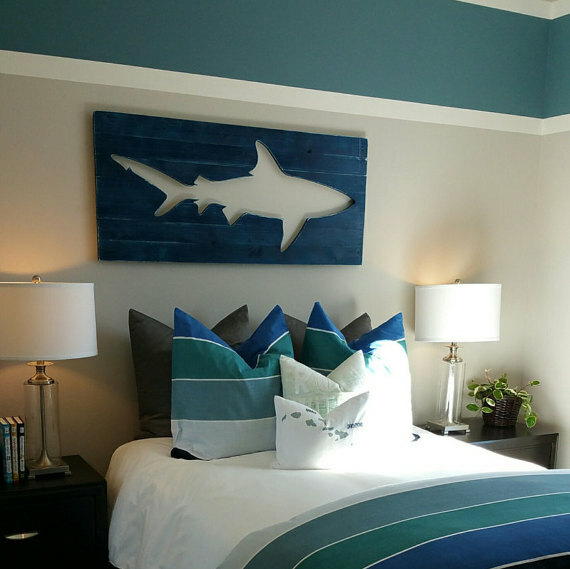 When you are creating a bedroom design for your child, tween, or teen it’s definitely important to consider first what they love. 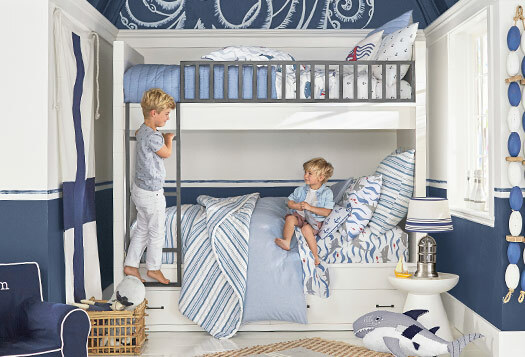 You may have a certain aesthetic or style that you love and want to infuse throughout your whole home, but that doesn’t mean your child’s room necessarily has to reflect that perfectly. I’m not suggesting that you let your child plaster paper posts all over the wall of their favourite sport or movie etc., but just that you work towards integrating the things they love and are interested with your own aesthetic. 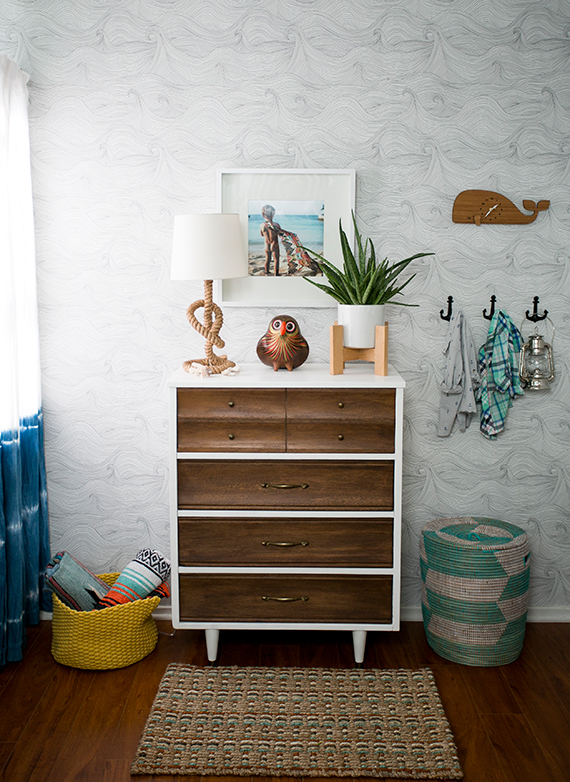 In the case of Finn’s room makeover, it’s a pretty easy collaboration between his love of the ocean/beach and our overall home design aesthetic as our house has a coastal vibe throughout. 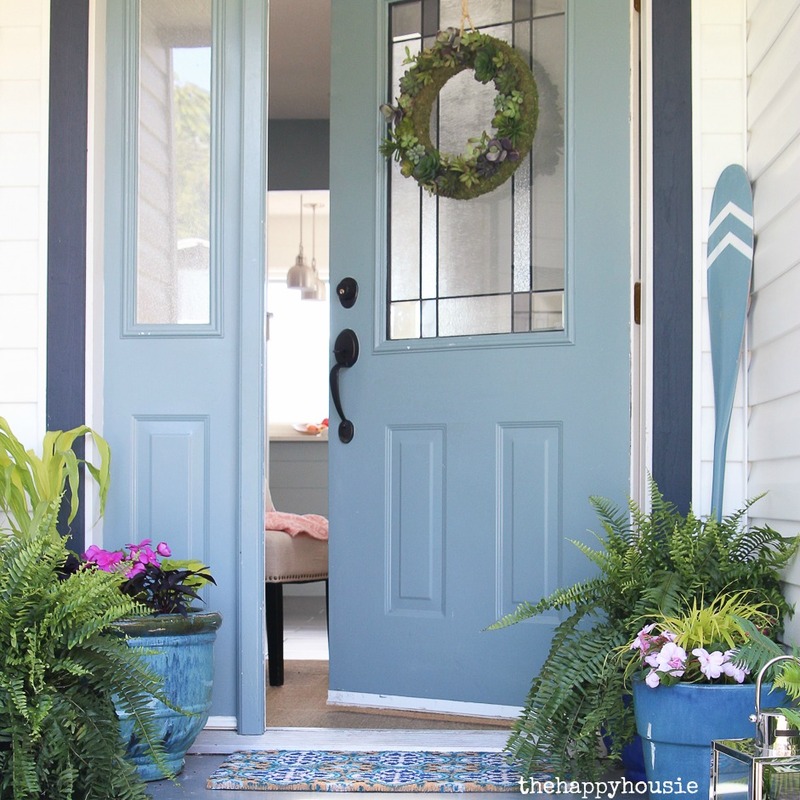 But we’ve got quite a few traditional elements throughout our home, and I want Finn’s room to better reflect his young, vibrant, carefree personality and youthful energy. 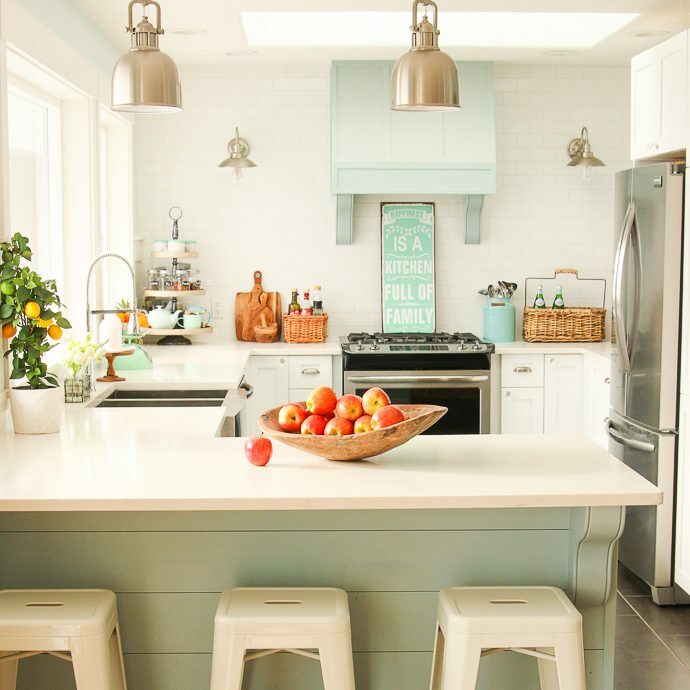 I want it to be more fresh and modern while still keeping in line with our traditional coastal home aesthetic. 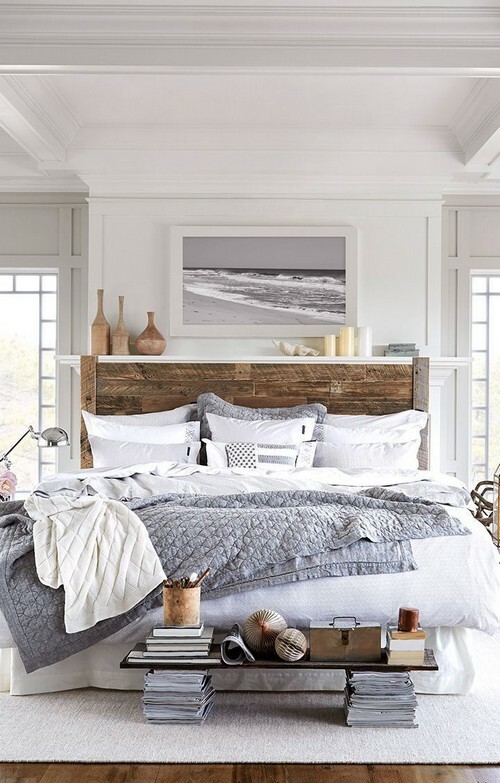 Slightly more sophisticated and very pretty, I love the natural wicker and wood finishes in this light and bright beachy feeling bedroom. 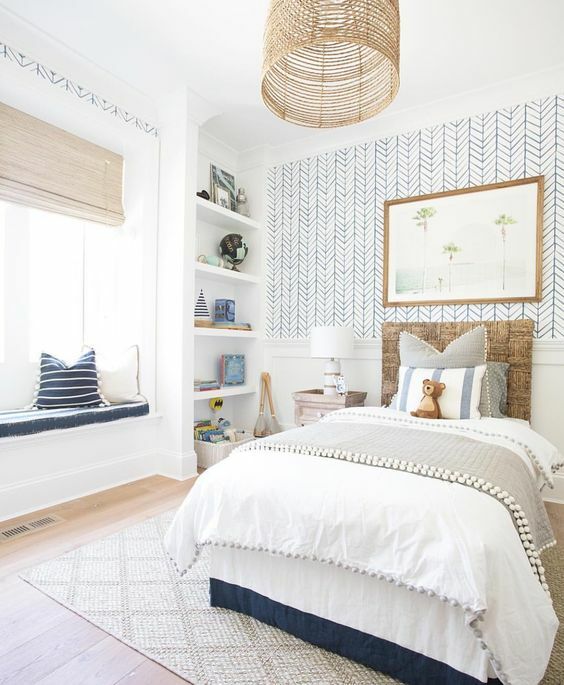 I’m thinking about a light fixture… and the wicker blinds are awesome! 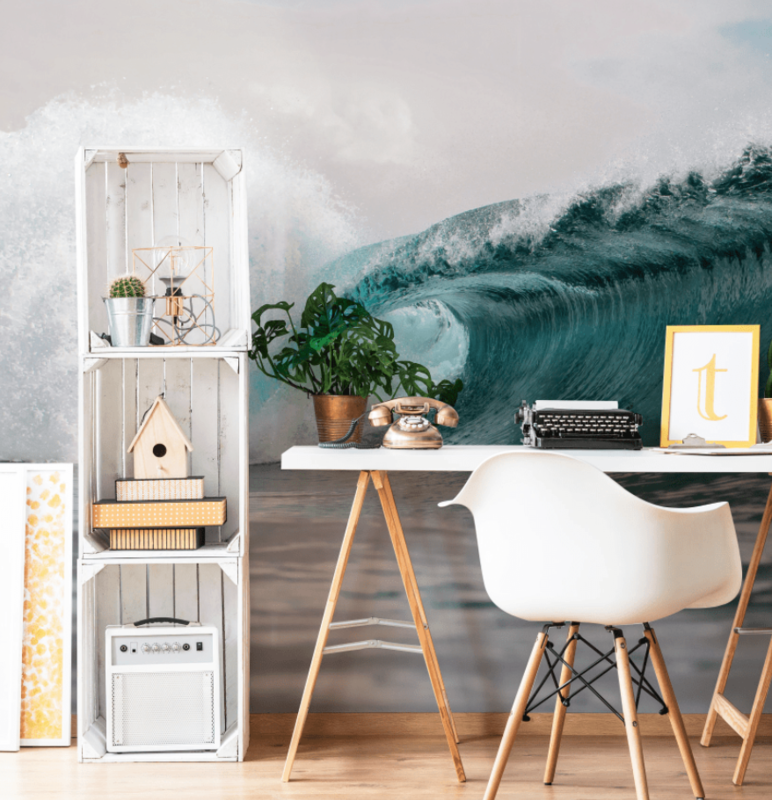 There we go again with that beachy surf wall mural. 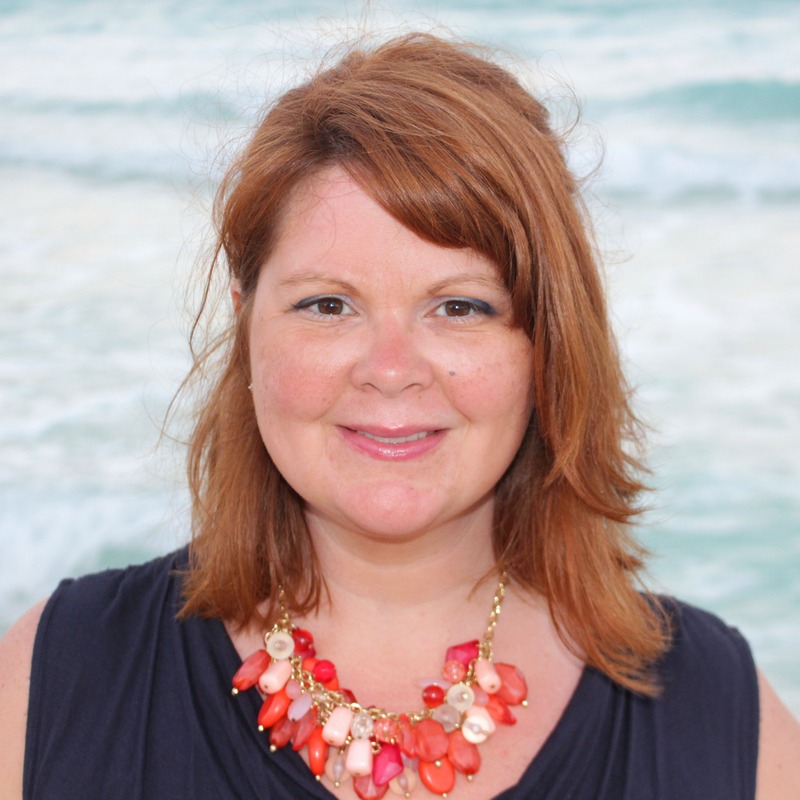 I can’t wait to see how ours goes up – wish me luck! 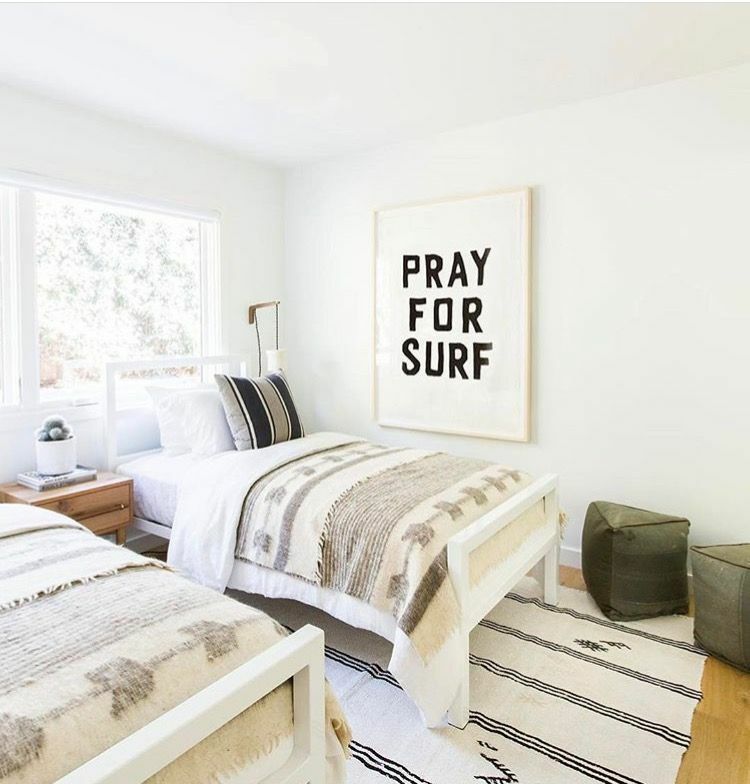 Definitely a more grown up vibe, I think this room is the ultimate combination of a surf/beach feel while still being youthful yet classic and put together. 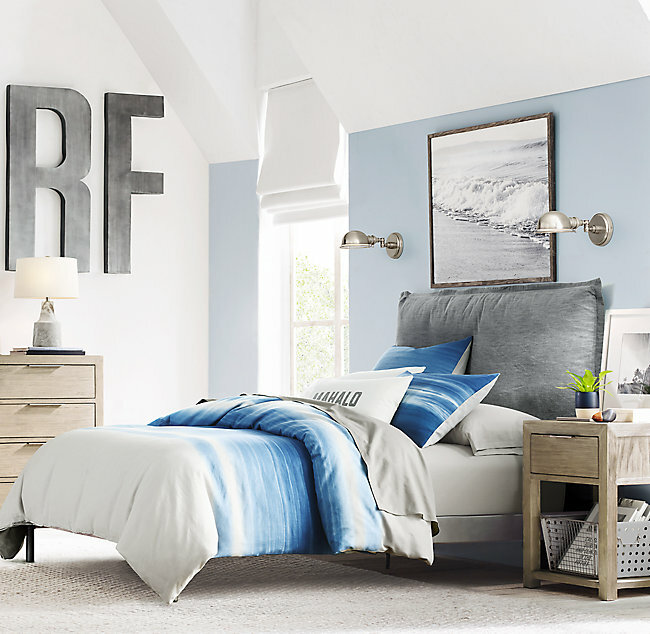 The giant letters are a pretty awesome addition to the space, and the bedding is perfect. 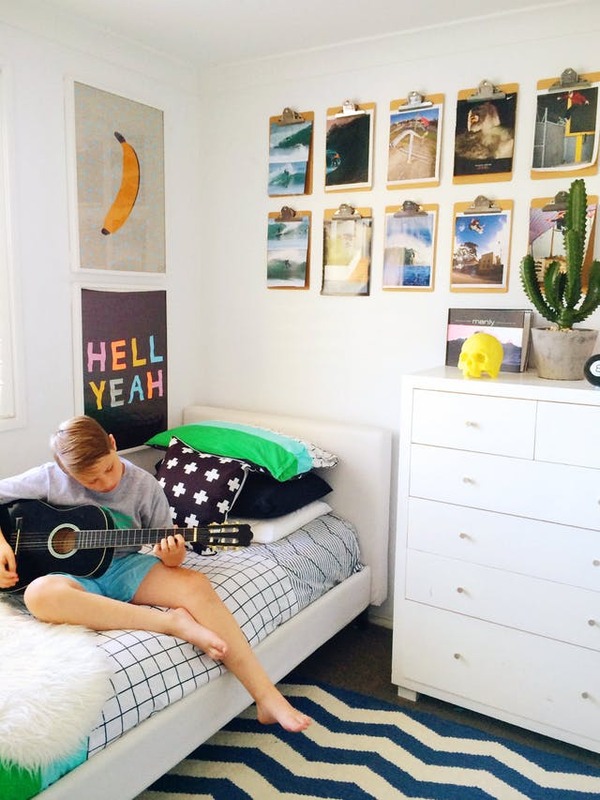 And how fun is this kid’s room? 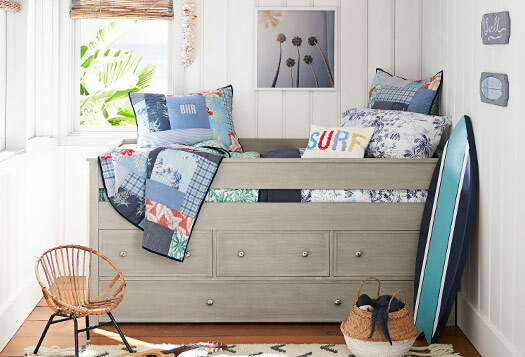 It incorporates a few of the child’s interests and loves, from what I can tell – his name, the batman mask, the surfboard and skateboard… and such a fun and crisp mix of pattern! 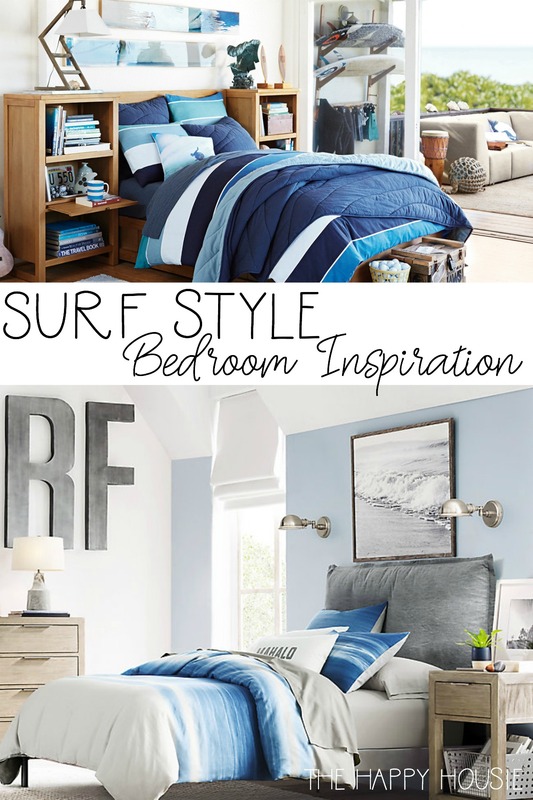 So many awesome surf style room ideas, right? 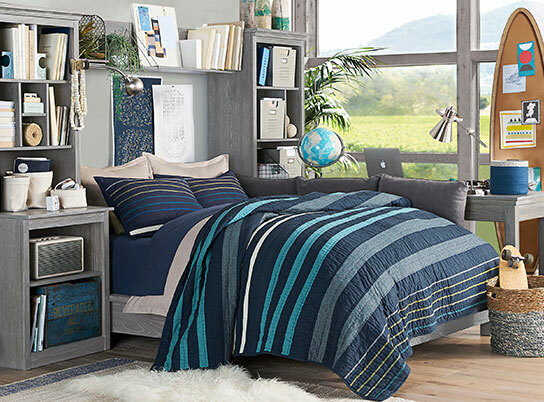 And I’ve gathered together some of the bedding and accessories that I think would be a great fit for this style! 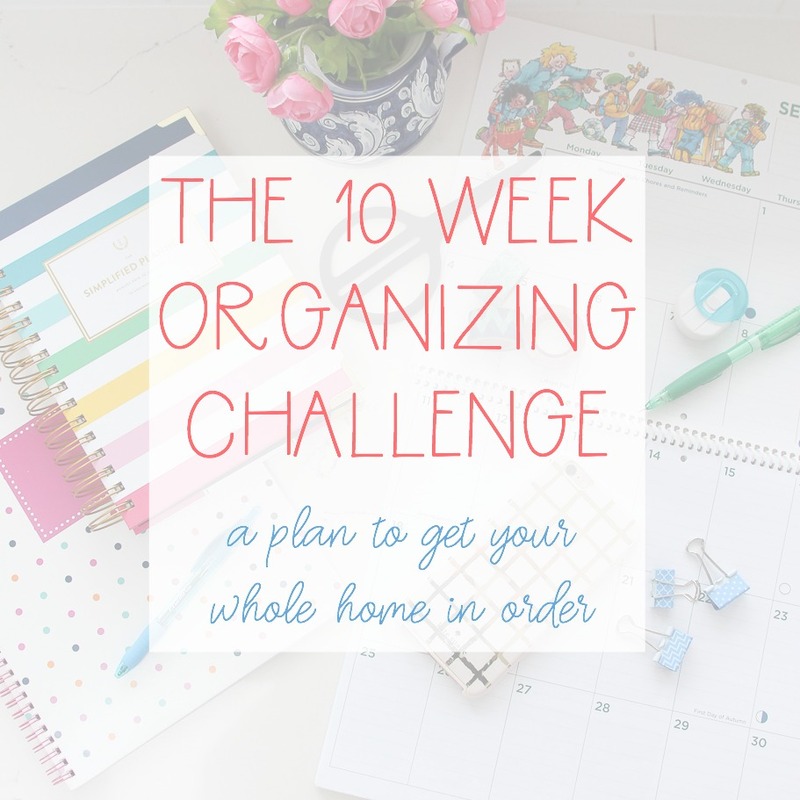 Now it’s time to get working on actually pulling Finn’s bedroom makeover together – paint, wallpaper, woodwork, and shopping for all the things! 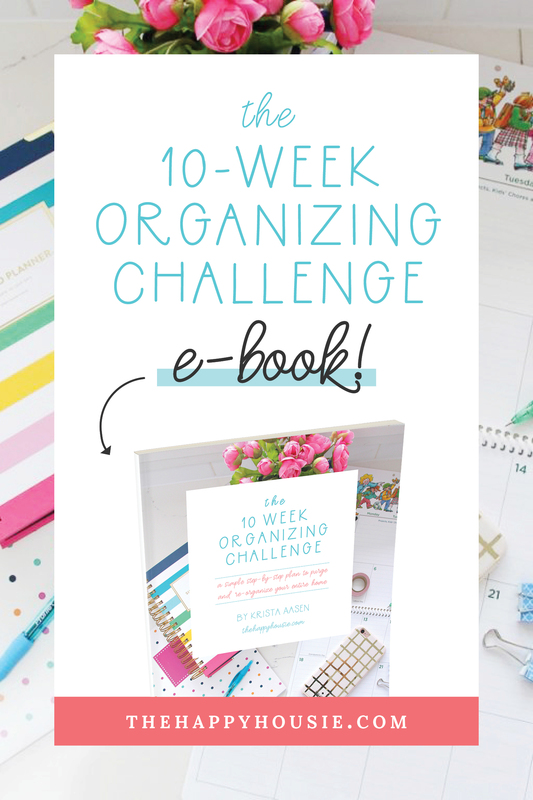 Such fresh & fun ideas! Quite inspiring! Very original yet simple. 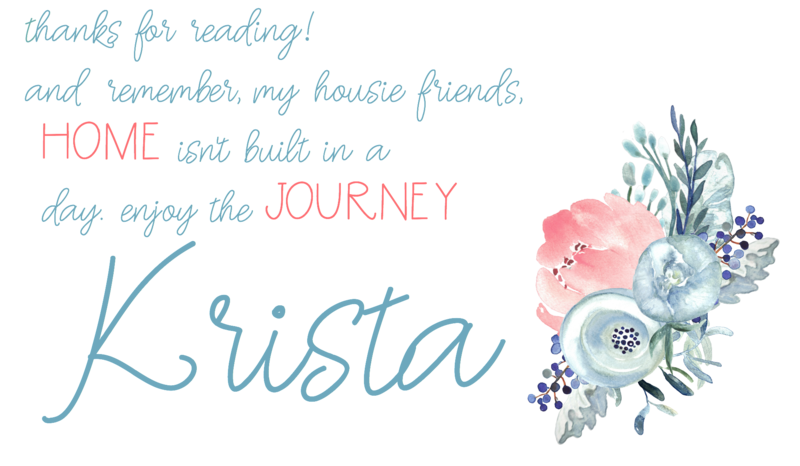 Love ❤️ this site!